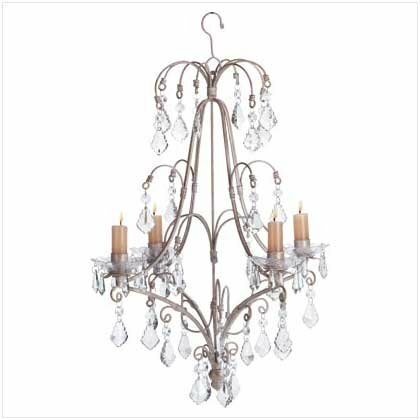 Sparkling acrylic "crystal" drops amid gracefully swooping arms on this distressed-finish white metal fixture transform candlelight into a dazzling dance! Uses four taper candles (not included). Measures: 11 1/2" diameter x 21 1/2" high.